And, here’s the official summary of the movie. Now, let me just start things off by saying that this movie was truly awesome. I thought that it was a pretty accurate interpretation of the novel. Shailene Woodley did great in her role as Tris, who during this movie had an overwhelming guilty conscience. Theo James, playing Four, also was amazing, but he seemed to have a less noticeable part than in Divergent. Ansel Elgort portrayed Tris’s cowardly, traitorous brother quite well, and Miles Teller was very memorable as the sly, funny turncoat Peter who in the end turns out not to be such a bad person. Kate Winslet, of course, dominates the screen in each of her scenes as Jeanine Matthews. I really enjoyed the high-quality acting from a great, star-studded cast. I also loved the special effects. They were very realistic, and the serum simulations, or sims, that Tris had to go through to open the faction box were perhaps more complex and sophisticated than those in Divergent (the movie, that is). The visual effects were also very prominent in the scenes that took place in the Erudite headquarters. There are quite a few action scenes too, and it’s safe to say that they’re nail-biting, tooth-grinding, fist-clenching exciting. Another thing I was super pumped up about? 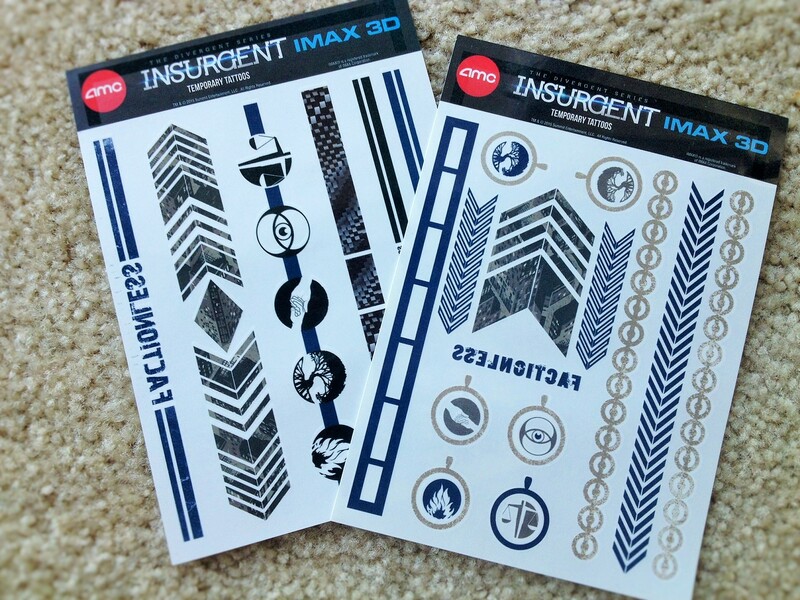 I got free Insurgent temporary tattoos for watching the movie! >> There are faction logo tattoos, tattoo wristbands with “FACTIONLESS” written on them, and a couple futuristic design ones. I think my favourite one is the band with all the faction signs on it— very Divergent. 😉 They’re really cool and I can’t wait to put them on! Overall, I thought that this was a must-see movie! 🙂 Sure, it deviated from the book plot a little bit, but don’t all book-based movies do that? The differences from the book worked to the film’s advantage, and it fully satisfies the expectations as a dystopian sequel. 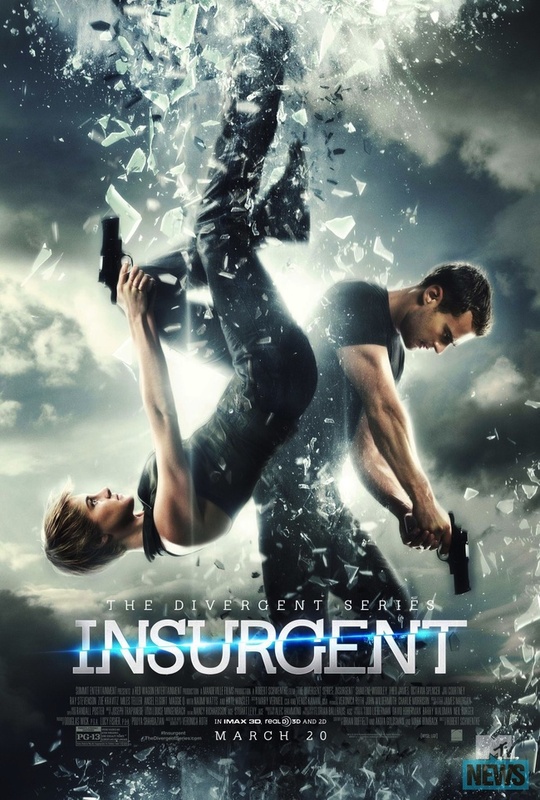 Insurgent ends with an intriguing cliffhanger, much like the book, that leaves the audience eagerly waiting for more. Hey everyone! 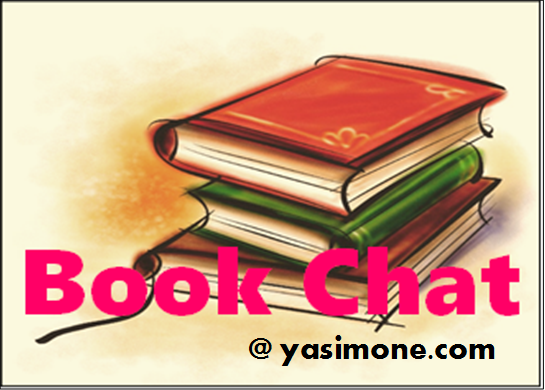 In today’s Book Chat, we will be discussing… poly-reading! It’s a term I use to describe a common skill among book worms. 1. the action or skill of reading more than one written or printed matter silently or aloud at once. In other words, it’s when you begin reading a book, put it down, and then begin another book. You then alternate between reading the two books and finish them. It can also work with 3+ books. Any amount, really. Some book lovers are completely against reading multiple books at a time, while for others, poly-reading is the only way to read. The only catch for me is not to merge the plots together. For instance, let’s say that I’m reading one dystopian book, one Louisa May Alcott, and one Jane Austen. Since both the Alcott and Austen books are considered “classics,” and are written in a similar, old-fashioned (but amazing) style, I’m bound to mix them up. So here’s a tip: If you’re going to poly-read, then read multiple books from different genres. Be well-rounded. Read one dystopia, one classic, one fantasy, one mystery. You also might not want to read two books from the same author; again, the writing style will be too similar. Sometimes poly-reading is not an option. If there’s a novel that you want to give your undivided attention to, then do not read any other books. Concentrate on that specific one. Think about the plot. Think about the characters. And when you have finished that book, that’s when you can continue reading multiple books. Happy Saint Patrick’s Day! To celebrate, here are some very inspiring and meaningful quotes from prominent Irish authors. Weren’t those simply stunning? Each of them, in some way, show that there is good in the world. And that maybe, just maybe, we can all be part of it. Tris and Four, who she now calls by his real name Tobias, are unsure what to do. Erudite has just attacked the peaceful Abnegation members searching for Divergents, whom they are convinced pose a threat to the well-being of the faction system, through controlling Dauntless soldiers with a serum that Erudite developed. Tris’s mother and father have both lost their lives while trying to help and prevent the attack, and Tris has just shot and killed her friend Will, who was under the influence of the control serum and tried to capture. Seeing no other options, Tris and Tobias flee to the Amity faction along with some friends. As Tris fights with her guilt, her fear, her grief, her love, and above all, her Divergence, in the safe haven, the conflict grows between the other factions. Suddenly people who they once considered “good” aren’t sure where there loyalties lie, and human nature takes over through betrayals, deaths, and new, unlikely alliances start to form as old ones shatter. Five words: This. Is. An. Amazing. Sequel. It’s so much darker and deeper than Divergent, and the characters are no longer confined to the Dauntless initiates. We get to glimpse the lifestyles and beliefs of people form the other factions, and we learn much more about the main characters— how they deal with their emotions, how they react to the violence and loss and discord, how their actions, ration and rational alike, affect them. They are unraveled, layer by layer, so that you can actually get to know them over time; they are not stereotypical, 2D characters. They have depth, they have pasts, they have flaws. Cruelty does not make a person dishonest, the same way bravery does not make a person kind. International Women’s Day! Go Women! She drew pictures of girls around the words: one with a bun and glasses, one with curly hair, one with straight hair, and one with a head covering. It’s absolutely beautiful. ❤ But all she knows is that it’s awesome to have a special holiday all to herself, and that she will be carrying that sign around proudly the entire day. She doesn’t know about everything women have been through. Violence against women is so prevalent, even in our “modern age”. One in three women will be abused in their lifetime. And the worst part about it is that this is accepted. Women are told to be quiet, to hold their tongues. (“Do you really want to cause someone to go to jail?” “Come on, you must have provoked him somehow for him to resort to that.”) And that’s not all. Women still do most of the world’s low-paid— or even un-paid— labour and work. In places such as Africa, women harvest and work the land yet own less than 2% of the land. Even in “first-world” countries such as the United States of America, the average white working woman is paid 78% of what a man with the same job earns; Hispanic or African-American women are paid even less. In many countries, girls who have every right to a good education are being prevented from going to school and learning. This leads to much of the female population in some countries being uneducated and limiting their opportunities for a better life and supporting themselves economically, which in turn, leads to men and more privileged people judging them for their lacking education. And here’s a little bit of movie trivia— after Shailene Woodley, who plays the role of Tris, cut her hair for one of her 2014 movies, The Fault in Our Stars, she decided she did not want to wear a wig for Insurgent. Tris does cut her hair in the book, but not as short as seen in the movie. Are you as excited for the movie as me? Mr. Phileas Fogg is a wealthy British man who lives a precise, solitary life. On the morning of October 2nd, 1872, he is in the process of hiring a new manservant, a Frenchman named Jean Passepartout, who is glad to get away from the excitement of his previous years. Later that morning, Mr. Fogg is having a debate with some other rich gentlemen from the Reform Club about whether it is possible to actually travel around the world in eighty days— after all, a new railway section has just opened in India. So, in a rather rash moment, he wagers £20,000 that he can and will travel around the world in eighty days. Mr. Fogg is very determined not to lose his bet, and poor Passepartout is not pleased at all! They pack everything up in a carpet bag and catch a train to Paris. Meanwhile, Mr. Fogg begins planning out their entire journey in his journal. They must travel from London to Suez (via Paris), Suez to Bombay, Bombay to Calcutta, Calcutta to Hong Kong, Hong Kong to Yokohama, Yokohama to San Francisco, San Francisco to New York, and arrive at London on December 21st, at exactly 8:45 p.m. This is the route Mr. Fogg, Aouda, and Passepartout took. The pair travels by train, steamer, sail boat, cargo ship, sledge, and even by elephant! Along the way, they encounter many different cultures and people, and even save a charming Indian woman, Aouda, from her death at a traditional ceremony, who then continues on the voyage with them. However, Passepartout knows something that Aouda and Mr. Fogg do not— an undercover detective from Scotland Yard, Mr. Fix, believes that Mr. Fogg is a criminal who stole £55,000 in bank-notes from the Bank of England not too long ago. Between storms, kidnappings, imprisonment, transportation delays, and Inspector Fix doggedly pursuing them, will Mr. Fogg and Passepartout be able to reach England in time? This is a stunning, extremely suspenseful read that you simply won’t be able to put down once you pick it up. The book is rich in detail of the descriptions of the diverse cultures and countries as they were during Jules Verne’s day, which I find to be very interesting; they are quite different than how we view other peoples around the world today. Reading this book really has an emotional connection for me (see why at Book Chat #2) and gives me that “warm, fuzzy feeling” inside that I always get from reading the classics. 🙂 You’ll love all the twists and turns they encounter in all the different countries, but perhaps the best one is at the end… Around the World in 80 Days is the story of the epic adventure against time that you always wanted to have but never could.